DISCLOSURE: This post is sponsored by Chick in a Basket. Easter is one of my favorite holidays! It feels like a new beginning, and it's the light after a long, dark, cold winter. I look forward to it every year! The preparations have already begun, and my kids are ready to celebrate. Holidays with kids are a lot of fun, and this year, we're starting a fun new tradition: Chick in a Basket! 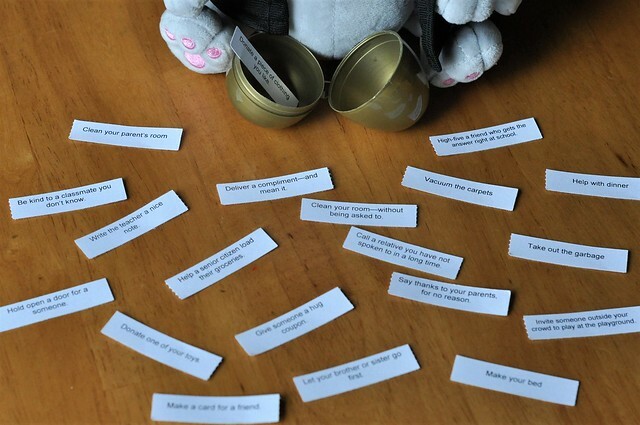 Chick in a Basket, AKA "The Easter Bunny on the Shelf," encourages kids to do good deeds for a dozen days leading up to Easter Sunday. 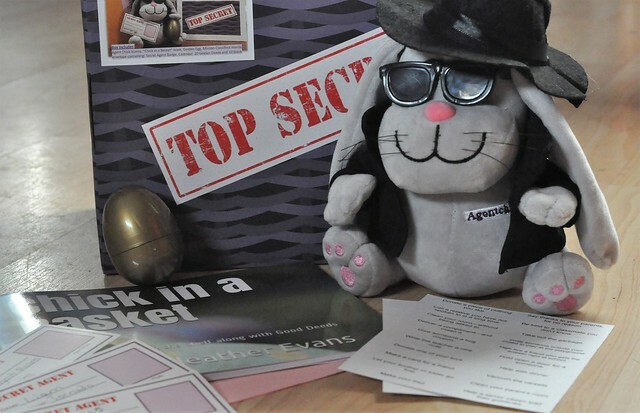 The adorable bunny, called Agent Chick, hides a Magic Golden Egg each night with a good deed written on a slip of paper inside. 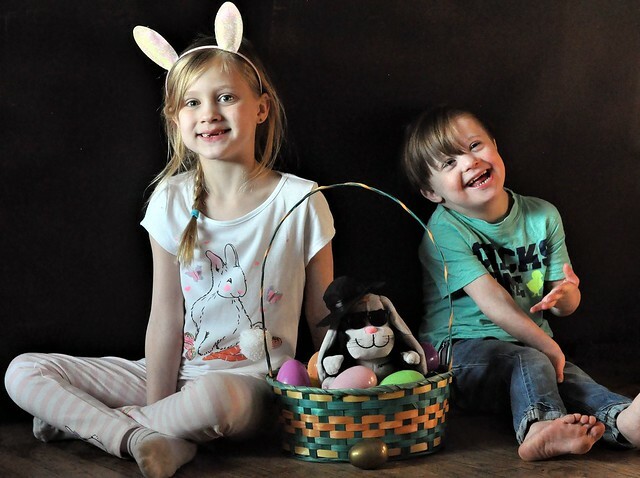 When the kids wake up, they find the egg and complete the good deed. 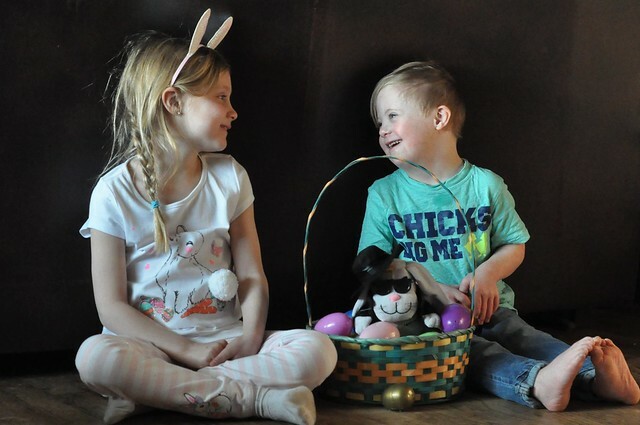 At the end of 12 days, Agent Chick reports back to the Easter Bunny. If all good deeds are completed, the kids earn their Easter treats. I tell my kids to spread love and kindness always, so this is a tradition I will proudly support! 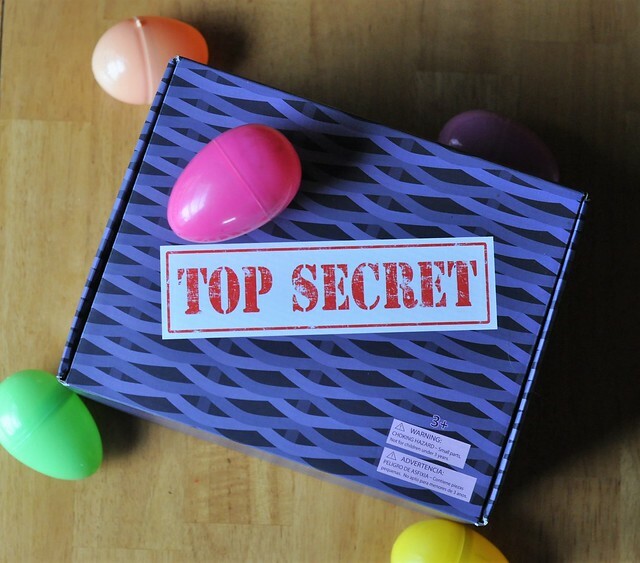 Agent Chick recently arrived at our house in his Top Secret box! When Lexie, Lily and Liam spotted him, there were lots of squeals over just how cute Agent Chick was! I quickly found the perfect home for him in a basket, where he will remain until Easter. 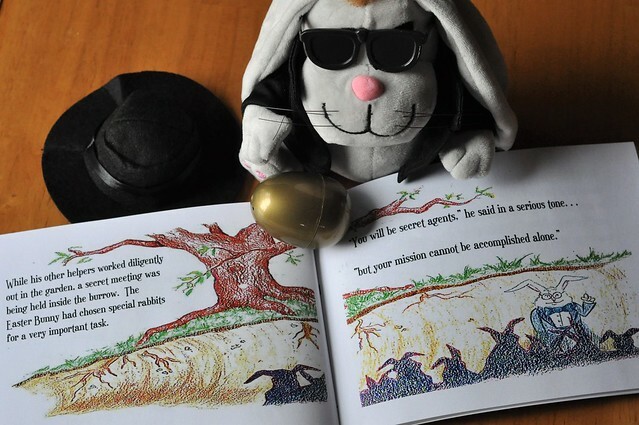 Once Agent Chick was settled in, we all sat down together to read the cute story that explains this fun Easter tradition! 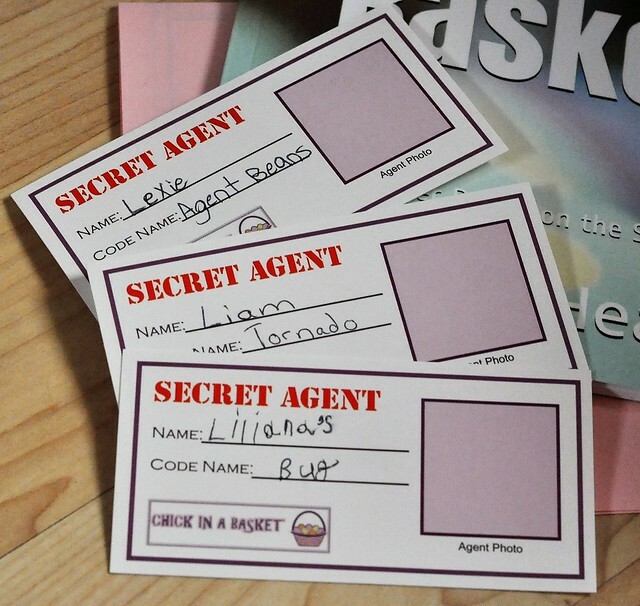 After we read the story, the kids filled out their included "secret agent" cards. I loved how Lexie still wanted in on the fun, and the code names they chose are super cute! In case you were wondering...Beans is Lexie's nickname, Bug is Lily's nickname, and, well, Liam's code name is self explanatory! In the dozen days leading up to Easter, Agent Chick will hide the Magic Golden Egg each night while the kids are sleeping, then return to the basket where he will remain frozen until the following night. When the kids wake up in the morning, they will get to search for the Golden Egg. Once they find it, they can open it up to find the good deed of the day. If they complete the good deed for the day, they will be able to cross that day off of the calendar! Write the teacher a nice note. Donate one of your toys. Be kind to a classmate you don't know. Hold open a door for someone. Call a relative you have not spoken to in a long time. 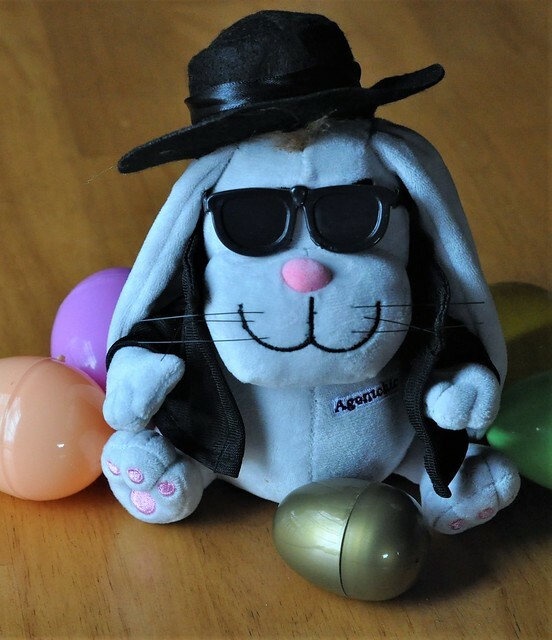 If all 12 good deeds are completed at the end of a dozen days, Agent Chick will leave our home, tell the Easter Bunny that the mission was accomplished, and my kids will get their treats. Agent Chick will return the following year to help my kids spread love and kindness all over again! 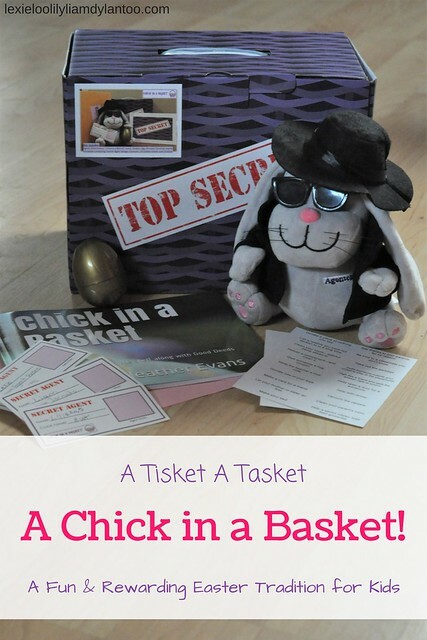 You can purchase Chick in a Basket on the website. 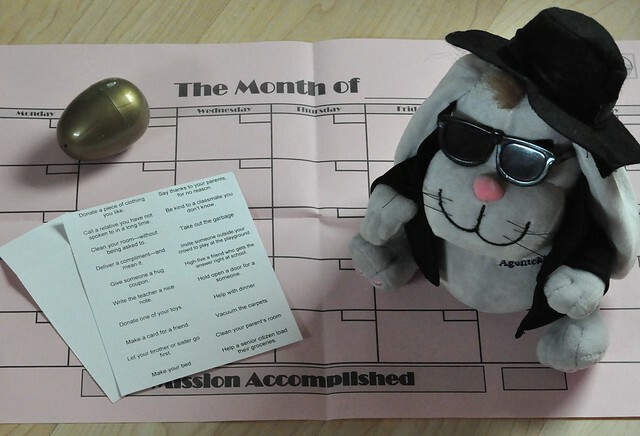 If you opt for the kit, it comes with Agent Chick, the Magic Golden Egg, the storybook, a calendar, 20 Golden Deeds, and 10 blank deed slips so you -AHEM, Agent Chick - can get creative! You can also purchase Agent Chick with the Magic Golden Egg or the Storybook separately. Hurry! 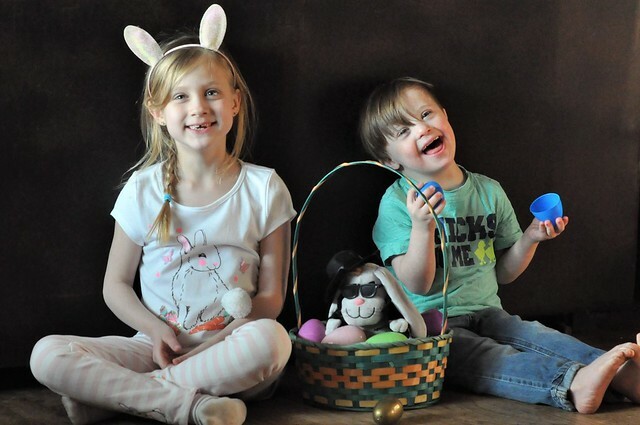 Join in on this fun Easter tradition, and order your kit now! 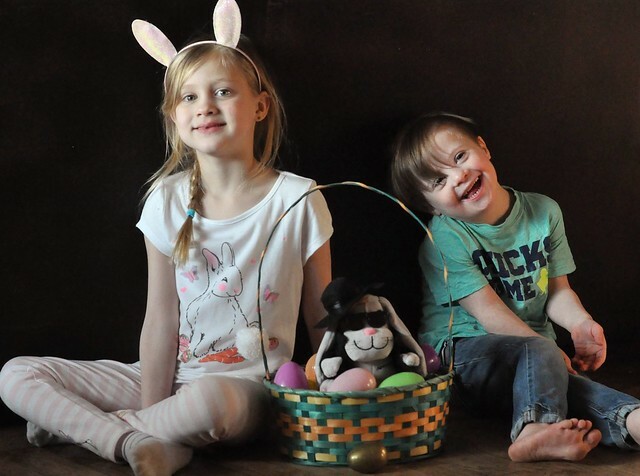 Do you think my crew will complete this fun Easter tradition? Follow along with my family on Instagram, and keep an eye on my stories! Very creative! I wonder if it will take off like the elf on the shelf did. This is the cutest idea! I love it! What a fun tradition to start up with the kiddos. I bet they are having so much fun with it. Love the write up on Chick in a Basket! Thank you! Again, love the pictures with the kiddos, they are my favorite! How cute! Such a fun idea. What an adorable idea! It looks like a lot of fun.